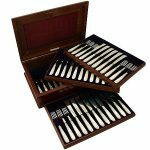 Even though engraved flatware is very popular, many people do not realise engraving is a very specialist skill within silversmithing. Although many silversmiths will be able to carry out basic engraving work, it is more common for items to be sent to dedicated engravers. Most of these engravers, however, are unrecognised in their work. Modern engraving is often carried out by laser or pantograph, which is much quicker than the earliest methods; where engravers would use chisel-like objects called gravers to hand carve a design into the item. One of the most noticeable differences between hand engraving and machine engraving is the angle in which the design is carved into the object. When engraving by hand, the design is craved at a 45 degree angle, whereas by machine it is a 90 degree angle. Because of this, work engraved by hand catches the light in a much more attractive way, meaning there is still a demand for hand engraved work. Flatware is usually engraved for two main reasons; adding decoration, and displaying ownership. Engraving can be found on flatware dated from as far back as the early 1600s. 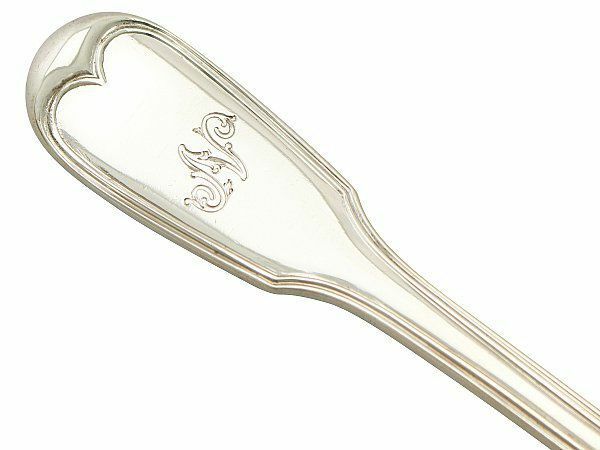 A highly desirable piece of flatware is the trefid spoon, especially when engraved. They are dated from 1660, when they were brought to the British Isles by Charles II. A popular pattern of Trefid spoons is the Flameback pattern. This is a design where leaves are engraved onto the back of the spoon around the rattail in the form of acanthus leaves; this gives the appearance of flames. – read more about the trefid spoon on our blog dedicated to the piece. 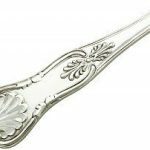 It was in the late 18th Century that bright-cut engraving was at its most prominent in flatware engraving, especially in the Old English Pattern . This is where the graver has a polished point, this creates polished engraving cuts. 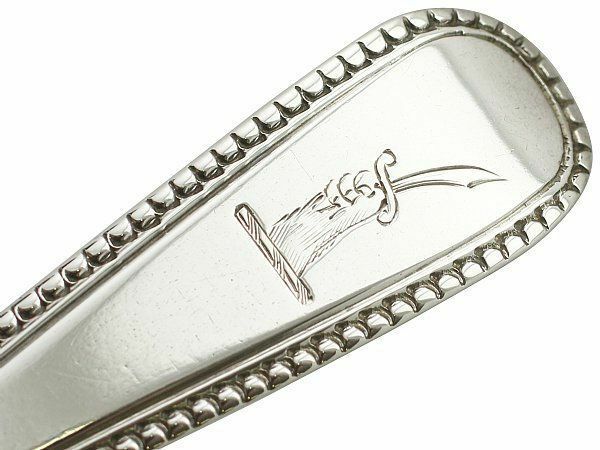 Before the late 19th Century, silver flatware was engraved to identify its owner. Middle class families would have serving staff, and their silverware was engraved with monograms – initials of the family crest – so that the owner of the canteen could be easily identified in case of theft by the staff, or sometimes even guests. Personalising silver wasn’t only done to stop it from being stolen; it was also done as a way to show off the wealth required to be able to purchase a beautiful canteen that may be passed down through generations. Engraving it with a family crest is a lovely way to make it extra special. Similarly, having a spoon engraved with initials as a gift for a christening or a wedding makes for a very personal keepsake. Where is the engraving to be found on flatware? Over time, the position of engraving on flatware has moved to follow trends. If we look at spoons as an example, we can see how the engravings have moved over the ages. Before 1660 – On a spoon the engravings are found on the back of the bowl or on the flat disc at the spoon’s terminal (apostle tops and seal tops). 1660 to 1770 – the engraving was generally placed on the reverse side of the spoon, at the very end (Dog nose, Trefid, and Hanoverian patterns). Flatware of this period was generally placed with the bowl or prongs (tines) facing down, therefore these engravings would have been visible most of the time. 1770- 1830 – Spoons were engraved to the front of the tip (terminal) (Fiddle, Old English and King’s patterns). However, forks continued to be placed facing down. After 1830 – Both spoons and forks are now engraved to the front of the terminals. Forks are now laid with tines pointing up. Since 1890 – Engraving has been done on flatware wherever the owner wishes. There are no rules of what works best anymore. This can even include the inside of a bowl if a spoon is just used as a presentation piece. However, personal engraving on modern silver flatware has become less popular. 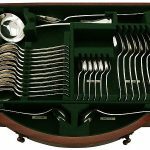 Although there were certain practices through the ages, there are some examples that do not always fit these rules; this can be because the flatware has been engraved later than when the canteen was crafted. 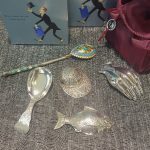 Silver spoons have traditionally been a popular gift for christenings or baptismal presents, as well as wedding gifts. 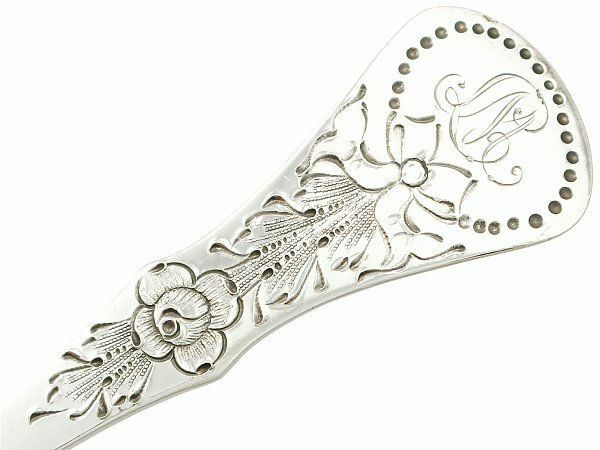 Until late in the 18th century, an engraving on silver flatware was very expensive, and so it was a luxury only few could afford. 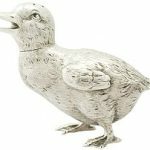 As silver became more accessible, and general wealth increased in the ‘industrial age’, canteens became more popular, and personal engravings grew to be very popular. Different types of engravings became more fashionable to be used for particular occasions. Initials in block or dot pricked – These would be earlier examples, often pre-1770 that would be used on a birth, christening or baptismal spoon, occasionally with the date engraved as well. Two pairs of initials – the earlier form of wedding-related engravings are often found with a date engraved as well as the initials of the couple. Three initials in block or dot pricked in a triangle – again, often given as a wedding present, the main letter being the shared surname and the other two letters being the Christian names. Single letter – generally the surname of the family that owns the flatware. Initials – engraved with the initials of the owner of the flatware, they can be in various styles depending on the era, such as Script or Gothic. Crest – the crest taken from the family’s coat-of-arms. As fashionable flatware patterns changed over the years, so did engraving styles. Dot Picked – the earliest and simplest form, where a series of dots form a letter. Roman Block – the most commonly used style in the mid-18th century used on the Hanoverian pattern. Script – introduced around 1770 when the Old English Pattern emerged, script engraving can be very ornate and elaborate. Gothic – stylized lettering became fashionable around 1825. Displaying a family’s coat-of-arms with armorials is relatively rare on silver. But, if this has been done, it would be on larger items such as trays or salvers. It is very rare that coats of arms are found on flatware due to the size of the items. Therefore, the family crest is used instead. On the rare occasion that the full coat of arms is engraved, it will most likely be dated to the early 18th Century. This date matches the start of providing guests with eating utensils, and improvements in engraving techniques. In this period, an engraving technique was introduced to show colour. For example, horizontal lines represent blue and vertical lines show red. A crest is sometimes accompanied by a motto. 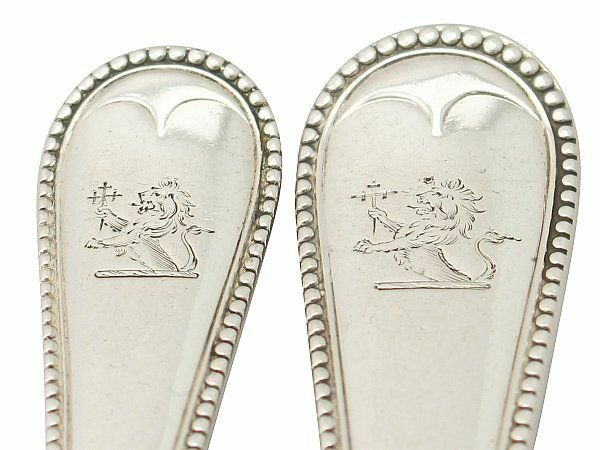 On English-made flatware, the motto would be found below the crest, whereas on Scottish flatware, it would be above. Most mottoes are in Latin, but they can also be found in English and French also. How does engraving affect value? without. Crests and personalised engraving are interesting, but really is it down to personal preference as to whether they add value to the item .